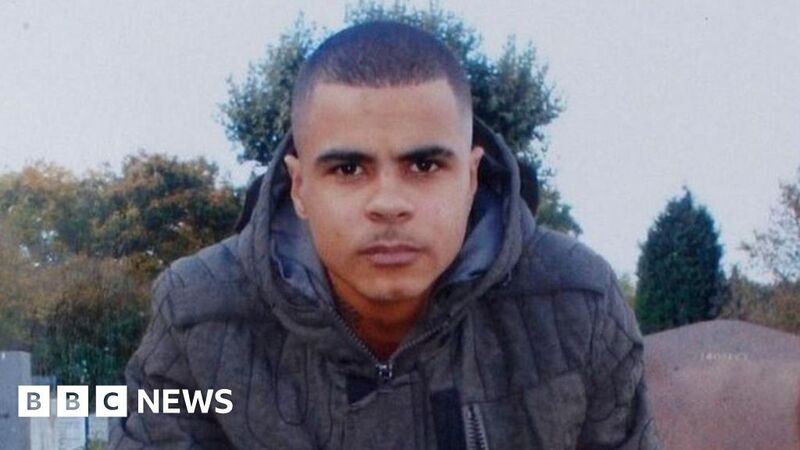 The family of Mark Duggan, whose death sparked riots across England in August 2011, are suing the Metropolitan Police for damages, BBC News has learned. Mr Duggan, 29, was shot dead by police who believed he was carrying a gun and posed a threat. An inquest jury found Mr Duggan was not holding the weapon when he was shot, but concluded he had been lawfully killed. The Met said it had received a civil claim and would not comment further. However, it is understood the force is defending the claim. The inquest heard how armed police had intercepted a minicab Mr Duggan was travelling in after intelligence indicated he was part of a gang and had arranged to collect a gun. After getting out of the cab, one of the firearms officers – referred to as V53 – shot him twice, once in the chest. A pistol, wrapped in a sock, was later found on grassland behind railings 10-20ft (3-6m) from Mr Duggan’s body. Jurors concluded in January 2014 that Mr Duggan had dropped the gun when the minicab came to a stop, but decided that V53 had “honestly believed” he still had the weapon and acted lawfully in self-defence. The civil proceedings, which are being brought by Mr Duggan’s mother, Pamela, and at least some of his children, are in their early stages. The relatives want the Met to be held liable for his death and to pay compensation. Stafford Scott, a community activist who has supported the Duggan family, said the legal action was a “good thing”. He pointed out the inquest jury was told that to reach a conclusion that Mr Duggan’s death was “unlawful” they had to be “sure”, whereas the standard of proof in a civil case is based on the balance of probabilities. In a report after the inquest had ended, coroner Judge Keith Cutler said evidence gathered by investigators “did not resolve, the vexed and very important issue of what precisely happened immediately before the fatal shot was fired”. Judge Cutler also expressed concern the Met and the Serious Organised Crime Agency could have reacted better to events before the shooting and used their joint intelligence resources more effectively. Ken Marsh, chairman of the Metropolitan Police Federation, which represents the officers involved, said he fully understood why the Duggan family felt the need to pursue a civil claim because they had “lost a loved one”. But, he added the officers involved wanted to “move on”. Mr Duggan’s family challenged the lawful killing conclusion, but the High Court and the Court of Appeal ruled against them. The UK Supreme Court declined to hear the case and they have lodged an appeal with the European Court of Human Rights.